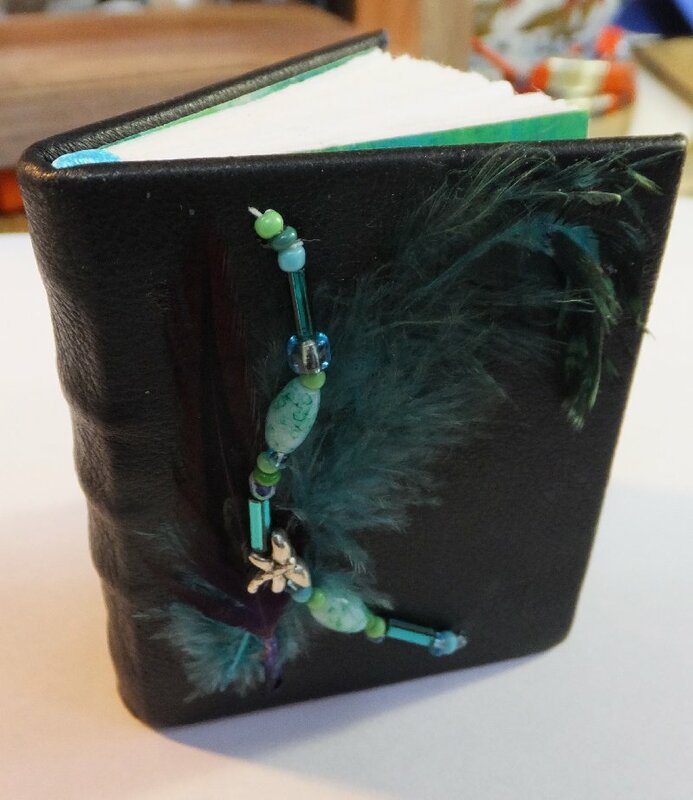 This is my fourth loom-bound miniature book. I’m enamoured of the neatness the loom provides, and I don’t need three hands and six clamps to pull it off! It is also very pleasing to have the cords showing. When the work is so neat, of course I want it to be seen. I’m trying to be a little more decorative with some of the covers. 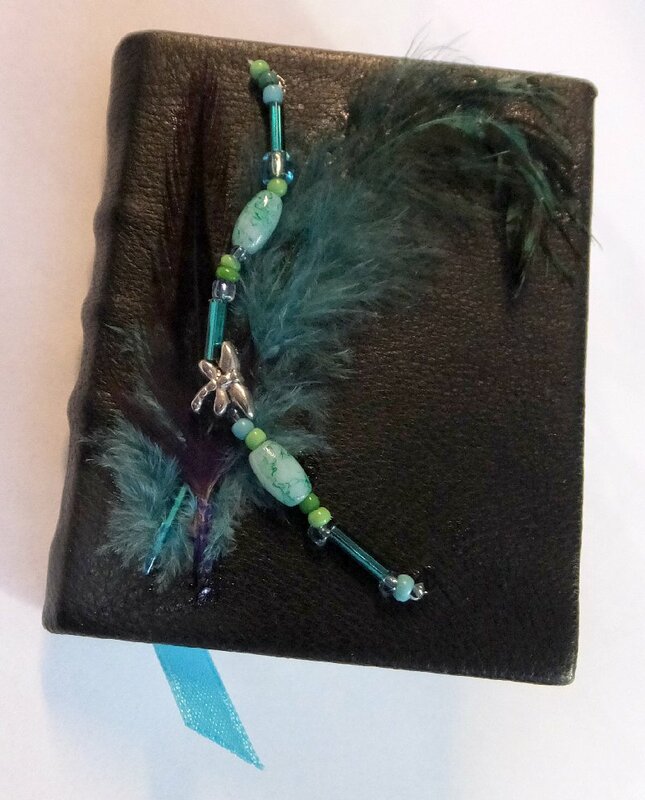 Beads and feathers and bling are so popular these days, and just because I would choose a more subdued look doesn’t mean I can’t play with the things I want to sell. 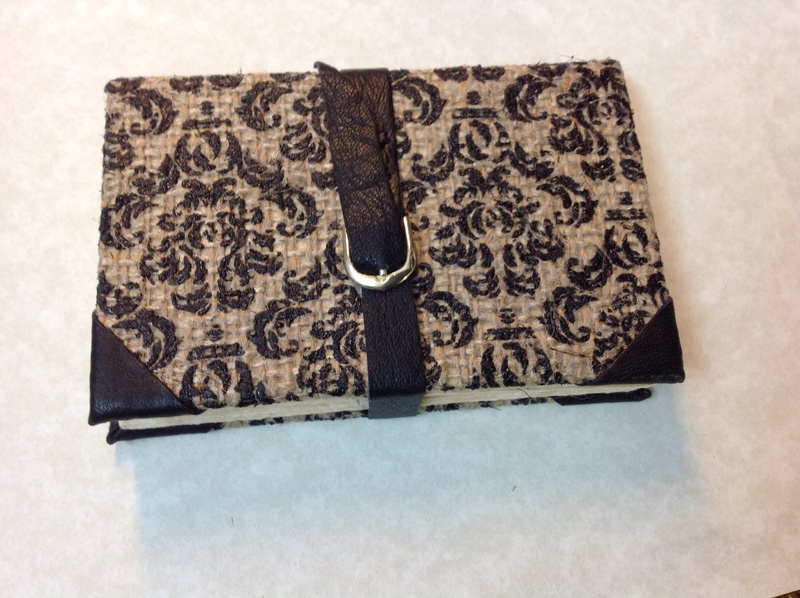 The endpapers are hand made by me. 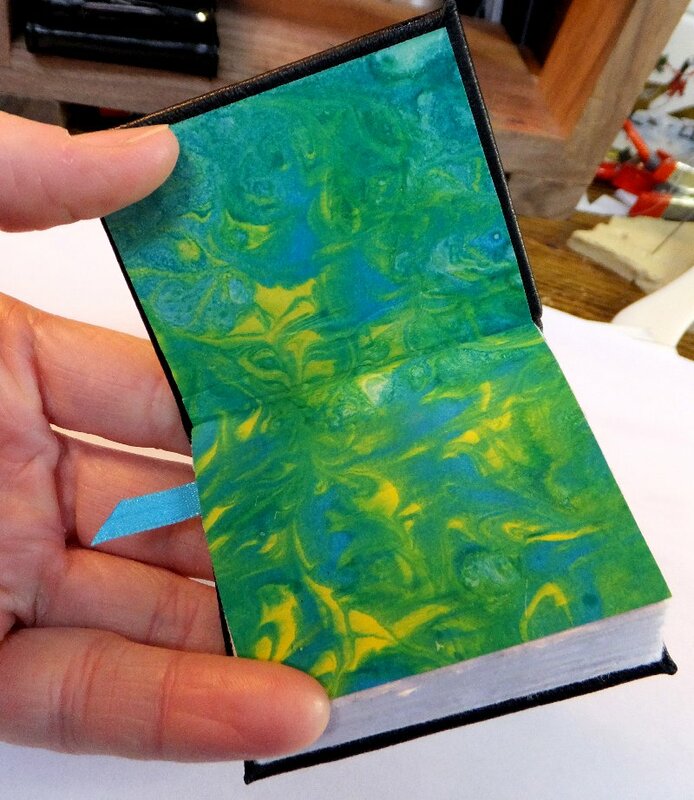 I would love to explore marbling further, except that it’s messy and takes a lot of space. I’m not tending toward miniatures because I have a lot of room! Someone might want to record some observations of nature in this book. If I had seen a bird of this colour feather, I’d write it down!